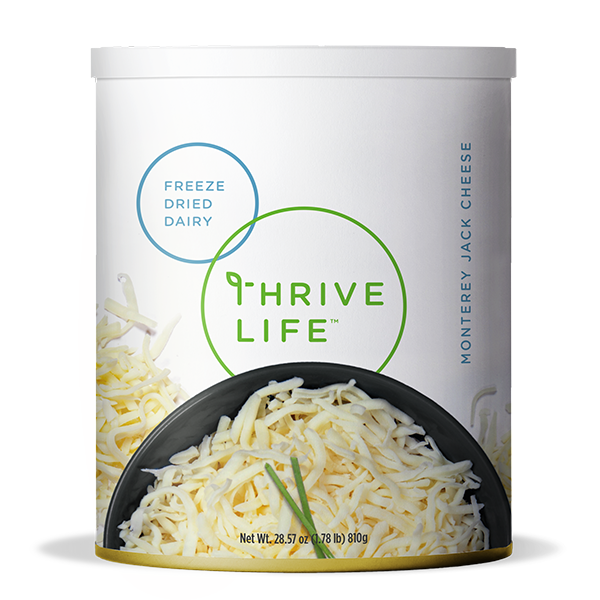 Thrive Monterey Jack Cheese is a great way to add a little extra flavor to your next meal. Its mild flavor compliments a wide variety of dishes from chowder and soups to your favorite steak. Place cheese in a dish or bowl and cover with water. Allow cheese to rehydrate for 3 to 5 minutes, or until water is absorbed. Drain excess water if needed.